T-Systems is a German company that operates information and communication technology (ICT) services. With driverless cars, smart heating controls, sensors for monitoring machines and data glasses to help engineers, digitalisation is expanding ever further and covering an increasing number of areas. This continuous growth applies above all to the Internet of Things (IoT). An increasing number of devices are being networked and management consultants such as Gartner expect the figure to reach around 50 billion by 2020. Only some of these will be private devices for smart homes, fitness applications, etc. The already booming use of sensors, actuators and other IoT devices in industry is a key factor in this growth. Innovations such as holographic video conferences, interacting robots, driverless cars and medical applications are resulting in high demands in a data-hungry gigabit society. Consequently, digitalisation calls for an infrastructure with optimum performance – a network for tomorrow and beyond. But it needs to be developed today. Deutsche Telekom is responding to these requirements by expanding its network and taking it to a whole new level. In addition to investing several billion euros in its own infrastructure each year, the company is also playing a major part in advancing the international standardization of 5G. 5G technology is far more than simply the next mobile network standard. It is the telecommunications standard for the future, combining mobile and fixed networks. The network architecture plays a key role in this regard. 5G networks will be controlled by software, will be programmable and will be managed end to end. This creates the basis for the provision of a large number of different services. Many areas will benefit from their very own tailored network, with a huge bandwidth for entertainment, super-fast reaction times for items such as cars or robots and a narrowband connection with a long service life for applications such as parking sensors or street lights. 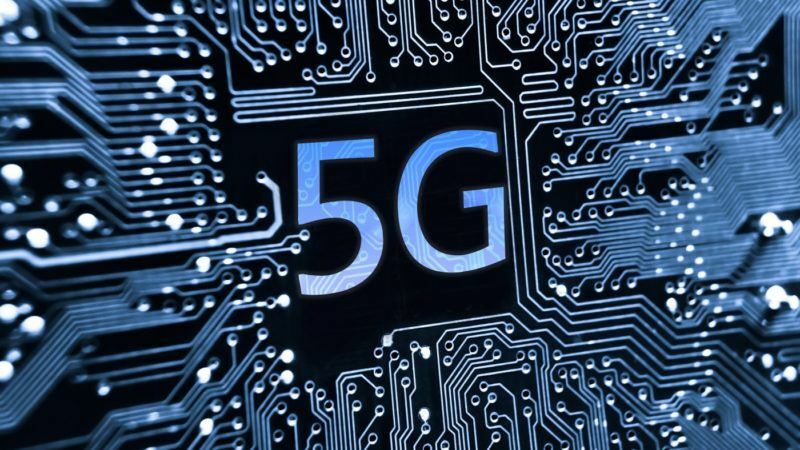 Overall, 5G offers around 1,000 times the capacity, 100 times the connection density, 10 times the speed, a 10 times lower latency period and 1.5 times higher mobility. The key distinguishing feature of the 5G era, however, will be the efficient and effective design and operation of virtual network segments. Four radio cells in the Deutsche Telekom network are demonstrating the future of communication right now. The antennas in Berlin are the first in Europe to broadcast live in a real-life environment with 5G. Using a pre-standard for 5G New Radio, the future mobile communications component of 5G, the network in Berlin can achieve transmission rates of two gigabits per second on a specific end device and a latency of just three milliseconds. In moving toward 5G, Deutsche Telekom is already paving the way for the Internet of Things with narrowband radio technology (Narrowband IoT or NB-IoT). The network is being upgraded to support sensors for applications such as guiding motorists to vacant parking spaces or indicating how full local trash cans are. The benefits include lower costs, low data transmission rate requirements and a battery life of up to an amazing ten years. The new NB-IoT technology is already available in the Netherlands, Germany, Greece, Poland, Hungary, Austria, Slovakia and Croatia. Cutting-edge radio technology facilitates IoT applications, some of which are already being used. Networked smoke detectors alert each other and also make emergency calls to homeowners and the fire department. Tracking devices for pets transmit their current position in real time using a mobile network. Patients can measure their vital signs with wearable devices and use the Internet to transmit the medical data directly to their doctor’s electronic patient file. And digitalised, networked parking spaces tell motorists in real time whether or not they are free. Future networks can, however, also become a key driving force behind the energy revolution in Europe. One of the requirements for switching from fossil fuels and nuclear power to sustainable power supplies based on renewable energies is close networking between producers and consumers. Smart meters will report the current demand to the electricity grid, which will support control and load distribution operations. An increasing number of consumers are also generating electricity themselves on a decentralized basis with equipment such as solar panels. To handle peak loads, however, energy storage should ideally also be decentralized. Domestic buffer storage facilities in conjunction with solar power units are one possible solution. This turns the entire electricity grid into a smart grid. In the “5Grid” project, Deutsche Telekom has joined forces with energy sector and network equipment partners to prove 5G’s suitability for industrial applications and has demonstrated how fifth-generation communication networks can be adapted to the requirements of the power grids being converted while also meeting the demands relating to the reliability, safety and above all speed of data and signal transmission.